In conceptualising the design of the main entrance of the refurbished Menlyn Park Shopping Centre in Pretoria, the architects contemplated which material to use to realise the curved shape of the roof, which at the same time could make for a striking building feature. Eddie Pretorius of BILD Architects remembered seeing a similar shaped roof – that of the Forensic Science Laboratory for the Department of Public Works in Cape Town – in a previous issue of WALLS & ROOFS magazine. He found the photo again and discovered that Rheinzink zinc alloy was used to create the perfectly curved shape. This led to the specification of Rheinzink 0,70mm prePatina Graphite Grey for the Menlyn Park project. “Quite honestly, I didn’t really know Rheinzink and have never worked with the product before, but in the end, it was absolutely the perfect material with which to craft the curved roof. For example, the front portion of the roof curves in two directions to hide the gutter – something that is extremely difficult to do with steel sheeting, but with Rheinzink it wasn’t a problem,” he says. “In addition, the grey of the Rheinzink fits in well with the rest of the colour palette.” Over time, natural weathering will create a natural patina that will help to protect the material for many years. Pretorius further points out that naturally, constructing a curved roof is a challenging feat, however, Fred Rohde from roofing contractor, Rohde Roofing, knew exactly what he was doing. “He is an absolute expert,” says Pretorius. “It was astounding how they built up and formed the roof with wood and cladded it with the Rheinzink sheeting – it was a work of art. And despite a very tight timeline, with pressure to finish the main entrance, they surprised everyone by how quickly they got the roof up, with very little snagging to be done. “At the end of the day, Rheinzink was unquestionably the right material for this application and was definitely worth the investment,” Pretorius concludes. 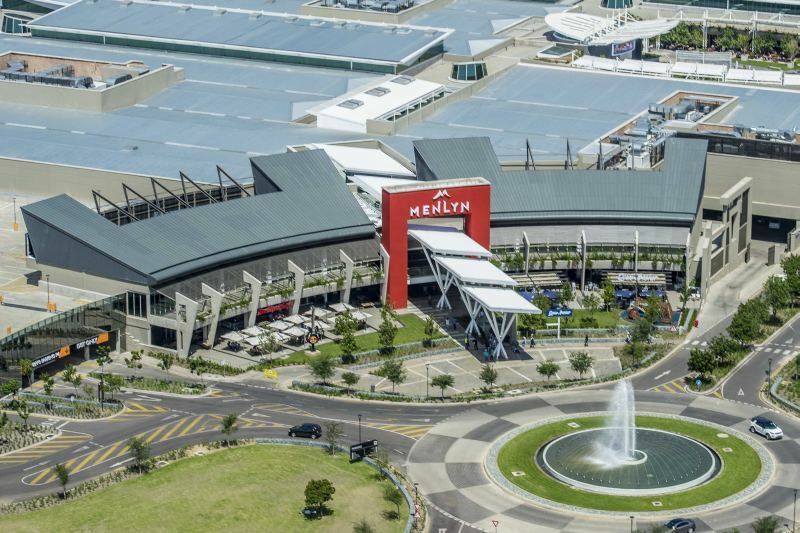 Eddie Pretorius from BILD Architects had the rare privilege of designing Menlyn Park twice. He was part of the team that did the Menlyn Park refurbishment in 2000 in collaboration with architects from America. For the latest R2 billion revamp and 50 000m² expansion, the joint venture with Terra Ether Architects made for a truly home-grown partnership.